After passing high schools, everyone wants to join the best college for their higher education degree program so that they can shape their career brighter. 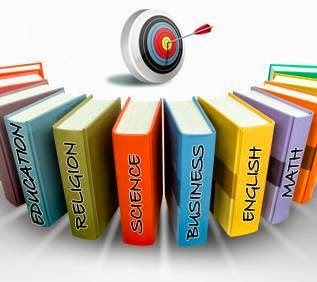 Now, choosing the best business school or top university for higher education course is a bit tricky task, as there are too many institutions offering competitive education programs. Here is a checklist to find out the finest institution to join for your degree courses. The best place to get precise information about the desired courses is the institution and the instructors itself. Interact with institution’s professors, alumni, and support team and ask a lot of question regarding the course, study habits at the university, best things about the course and college etc. It might bother to reach the institution or professors in person, but it is always better than dropping out after one term. Discuss your queries with experienced people in the field and decide accordingly. You can gather info regarding almost every aspect of institution and courses through online websites, social media platform or through media press releases too. Always do the things at which you can perform best. You must find out your area of interest for higher education before moving forward to join some course. Explore your preferred course to find out its scope for your career goals. It’s not the top ranked education program that leads you to your career goals, but it’s your interest and passion for the field of study that makes an impact. Join the education programs which can assist you to acquire skills and talent as per your long term career needs. Ask a lot of things from the program instructors about the program, its scope, effectiveness of course learning etc. This way, you will not only have an idea about the course outline but you will also get useful statistics regarding competitive courses, and their career possibilities too. In online mode of education, you might have educators with global presence. So, you should check for the compatible with their way of teaching for an effective learning. Nobody can do things in best way independently. In college, you need help regarding various issues such as academics, financial, IT services etc. Your university must have a proper student support system, so that you can get help to do better in academics, getting help for weak financial conditions, to get resources and support to develop extra-curricular skills too. In case of online education course, online support becomes too important as this is the primary means of communication between you and your instructor or even with the institution. Not every people are capable enough to manage thousands of dollars for their higher education programs. Also, it becomes difficult for some people to leave their native place just for the education course. You should choose the institution that fits your financial as well as accommodation situation. In modern era, with the growth of MOOCs, it’s been easier to get higher education from top universities without leaving your home or employment too. You can join online education programs from best universities to get the quality education through e-learning platform too. If you are looking for business degree programs, you may consult U18’s counseling team to get best advice for choosing your course as per your career needs and your area of interest.